Earth Dave: What Would A Gilligan's Island Comic Book Look Like? What Would A Gilligan's Island Comic Book Look Like? 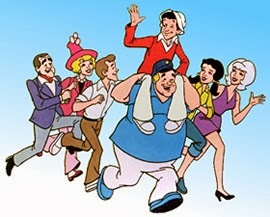 Warner Bros. has announced that Josh Gad will write and star in a feature film update of the 1960's television sitcom Gilligan's Island. It's unclear, as yet, which stranded castaway Gad will play, or when the film will reach theaters. There have been a number of proposals over the years of who should play the classic characters. The late Sherwood Schwartz considered Michael Cera, from Scott Pilgrim, Juno and Superbad, to be an ideal candidate for Gilligan. Cera's response was that he hadn't been offered the part, nor was he even interested. Whatever story a Gilligan's Island cast and film tells, I'd like to see Warner Bros. affiliate DC Comics publish a monthly all-ages comic book. But what would a Gilligan's Island comic book look like? It could look like a lot of different things. Archie Comics have recently gotten renewed energy after celebrating a milestone 600 issues with a "What if?" storyline involving Archie marrying either longtime sweethearts Veronica or Betty. 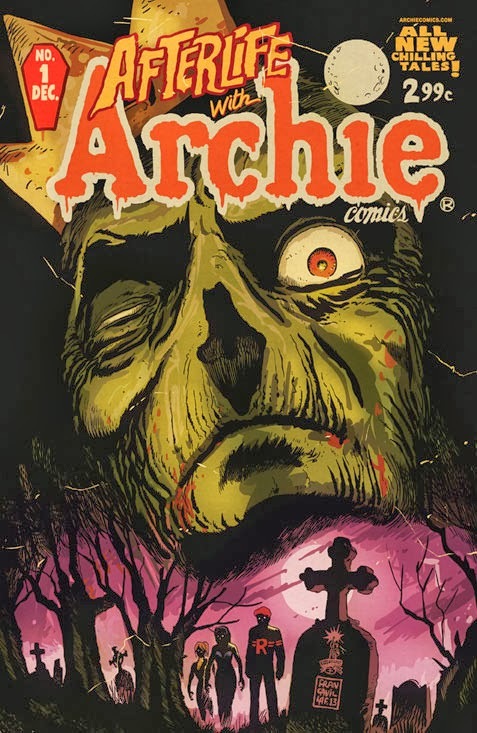 Not only that, but Archie has recently met KISS, done a crossover with Glee and parodied Twilight. 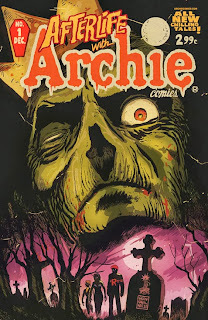 Right now, Archie is riding the zombie craze with a Walking Dead-like storyline, Afterlife With Archie. A Gilligan's Island comic book could look an Archie comic book. 600 issues is a pretty good model to follow. DC Comics published 163 bi-monthly issues of Superman's Pal, Jimmy Olsen from 1954 to 1974. 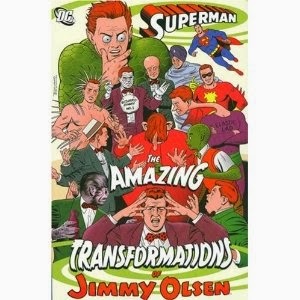 Issues from that series have been collected in Showcase Presents: The Superman Family, and Superman: The Many Transformations of Jimmy Olsen. Jimmy Olsen, like Archie, has had a lot of wacky and strange adventures. Jimmy's encounters with Professor Phineas Potter were the source of a lot of those wacky adventures and strange transformations. 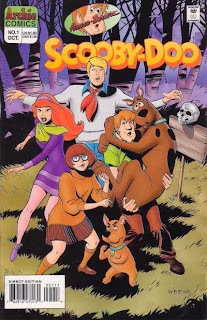 A Gilligan's Island comic book could look something like a Scooby Doo comic book. Archie comics brought the Hanna-Barbera character to comics in 1995. DC Comics acquired the rights two years later. 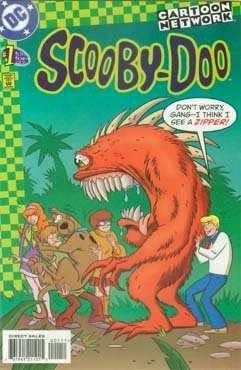 DC published 159 issues of Scooby Doo before relaunching the title as Scooby Doo, Where Are You in 2010. 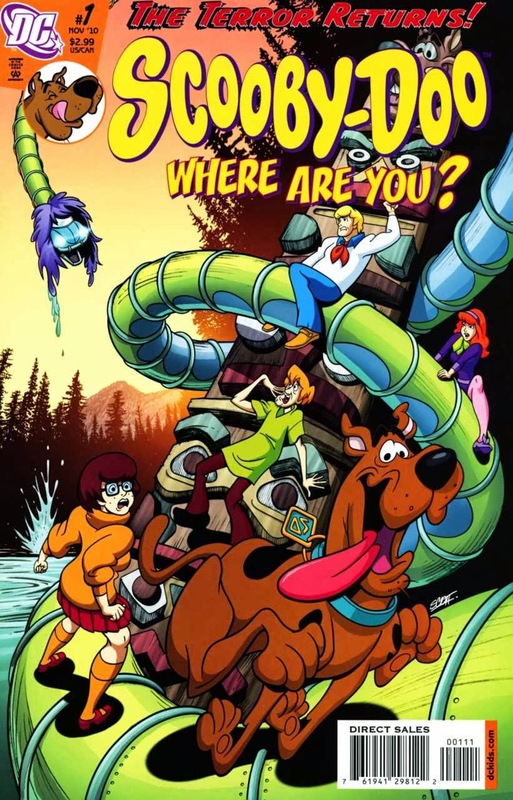 DC just launched a Scooby Doo Team-Up book. In 1992, when Warner Bros. launched an animated Batman series - cartoon are now known by the sophisticated term "animated series" - a tie-in comic The Batman Adventures was launched. The book was relaunched a number of times to reflect changes in the series. The Batman Adventures ran 36 issues; The Batman and Robin Adventures another 25; and Batman: Gotham Adventures 60 issues. DC's all ages imprint has had equal success with Superman Adventures, a tie-in to the Superman animated series; Justice League Adventures and Justice League Unlimited; Teen Titans: Go and Tiny Titans. Those are just the super-hero properties. DC's Looney Tunes published 212 issues starting in 1994. Still, what would an issue of a Gilligan's Island comic book look like? The Batman Adventures perfected a three-act story scripted out over twenty-two pages. A twenty-two page comic book is comparable to a thirty minute episode. A Gilligan's Island comic book could look like a Simpsons comic book. 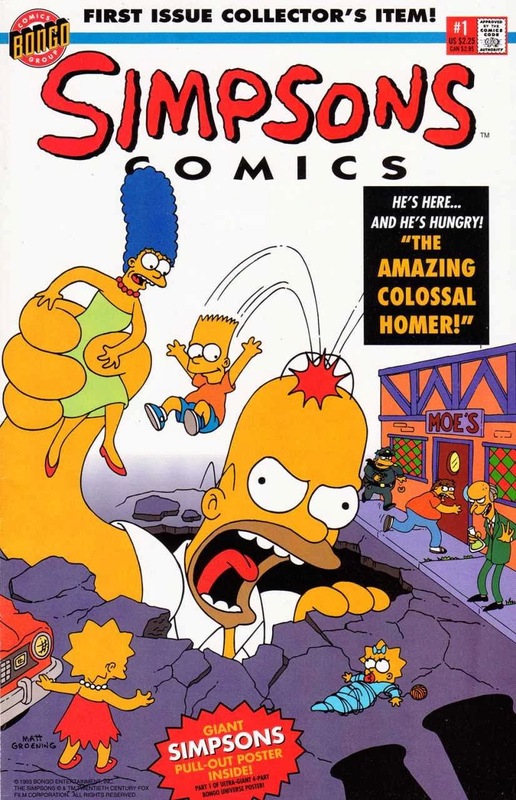 Over the last twenty years, Bongo Comics has published 207 issues of Simpsons Comics. According to Wikipedia, with 538 episodes over twenty-five seasons The Simpsons is the longest-running American sitcom, the longest running animated series, and is the longest running prime-time scripted television series. 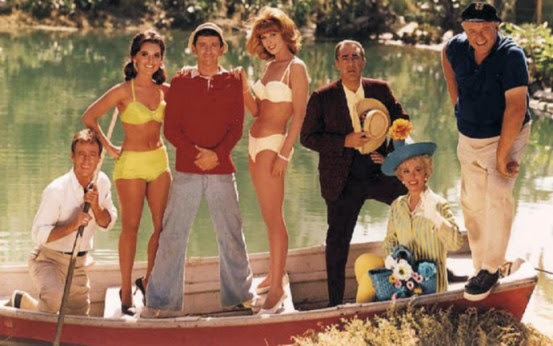 Gilligan's Island lasted only 98 episodes before it was cancelled. Legend has it that creator Sherwood Schwartz wrote down ideas for the series on a roll of paper he unrolled at CBS offices to pitch the series. 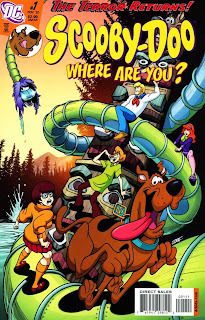 If Archie can reach 600 issues, The Simpsons 207, Looney Tunes 212, Superman's Pal, Jimmy Olsen 163 and Scooby Doo 159 - and that is 159 in just one of three different runs - then Gilligan's Island certainly has potential. It's just a matter of finding the right all-ages writer that can capture the moral lessons of Gilligan's Island. Names like Sholly Fisch, Jeff Parker, Michael Uslan, J. Torres, Art Baltazar, Chris Giarusso, Kelley Puckett, and Terrance Griep come to mind. Each one has proven success writing all-ages comic books. Tim Levins comes to mind as a penciller to capture the look of the Castaways. Joan Hilty would make an excellent editor. Right now, DC is publishing a tie-in comic for Arrow; Smallville: Season Eleven; and Batman '66, stories based on the 1966-1968 live action Batman television series starring Adam West. There's no reason why a Gilligan's Island comic couldn't be both profitable and successful.